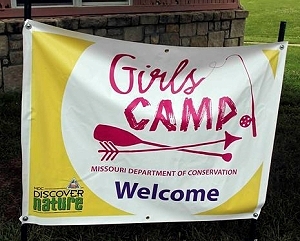 The Missouri Department of Conservation (MDC) will offer a free Discover Nature — Girls Camp June 26-28 at the Heit’s Point Lutheran Camp near Lincoln in Benton County. MDC is now accepting registrations for the camp, with a March 31 deadline for applying. 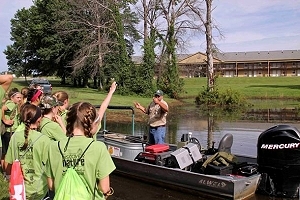 The three-day, two-night camp introduces girls ages 11-15 to outdoor skills such as fishing, firearm safety, target shooting, and water safety. Experts provide a supportive learning environment and the chance to actively participate in activities such as fishing. One camp goal is to give participants the confidence to explore Missouri’s outdoors on their own. Campers will also become Missouri hunter education certified. MDC is also seeking adult female chaperones for the camp. Applicants must pass a background check. Camp spots for participants will be filled in the order completed applications are received. The camp usually fills quickly and has a waiting list. For a camper or chaperone application, contact Conservation Agent Brian Bartlett at 816-835-6087. Applications are also available at some MDC offices, including the Kansas City Regional Office, 12405 Ranson Road, Lee’s Summit. For more information on MDC outdoor education programs, visit http://mdc.mo.gov. Content for this post provided by the Missouri Department of Conservation.